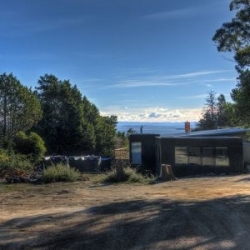 Cove Cottage was one of the original ‘shacks’ in the Fisheries, built in the 1940’s, and when renovated and extended a few years ago the architect and builder were sympathetic to the much beloved ‘Tassie-shack feel.’ For example, the Entrance to Cove Cottage is a Boot Room with half the floor made of Coles Bay granite and the space is designed to be the place to dump beach and hiking gear just as in the shacks of old. 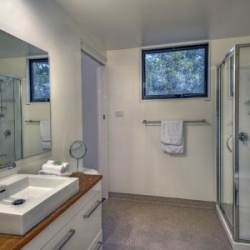 A bathroom is off the Boot Room, easy to get to after being on the beach. 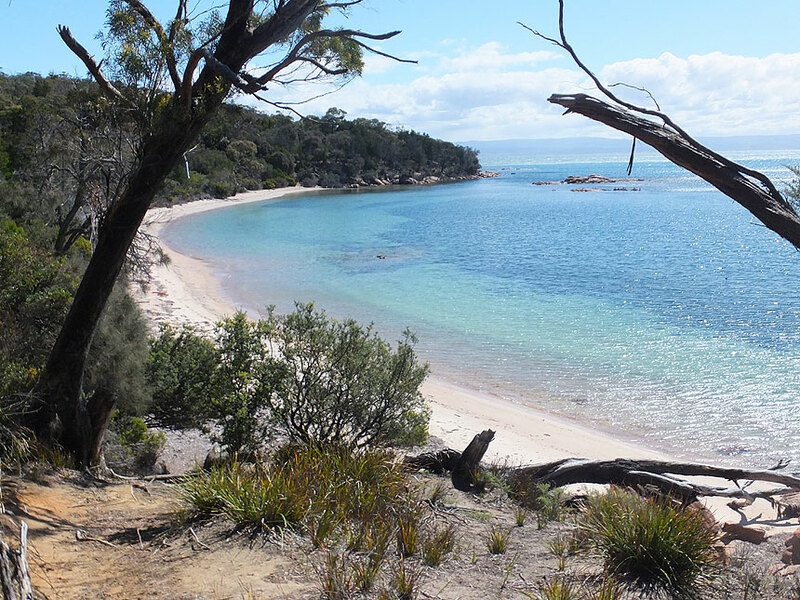 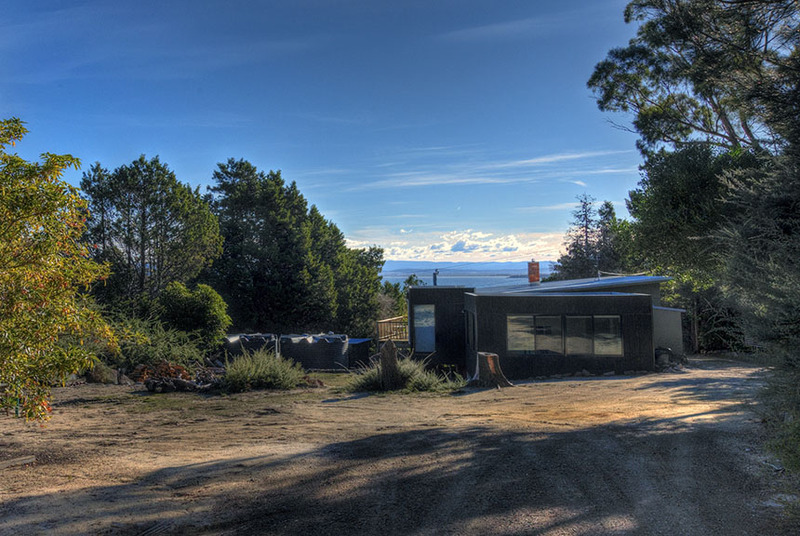 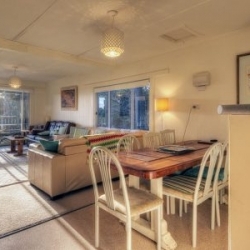 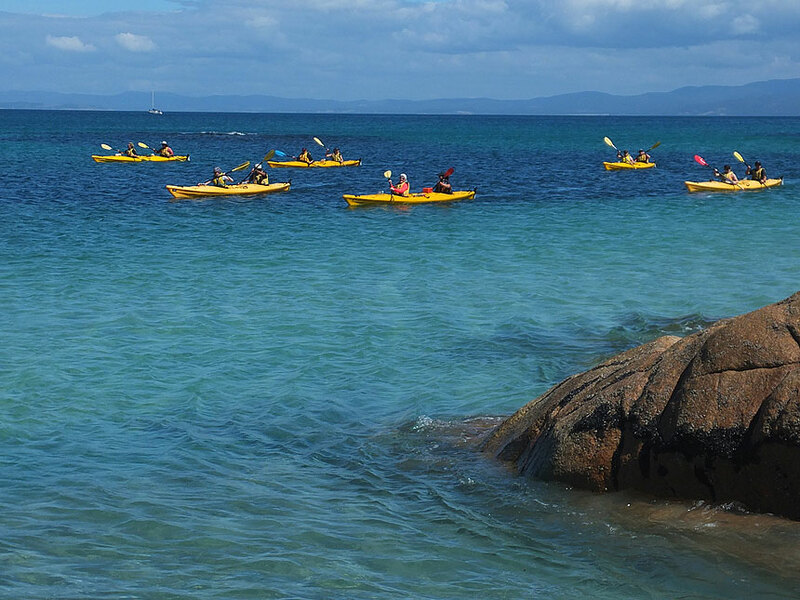 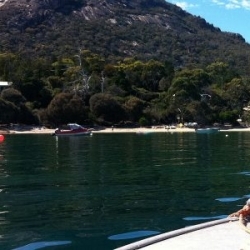 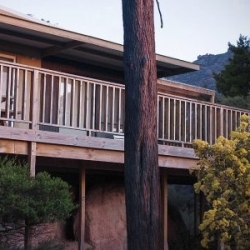 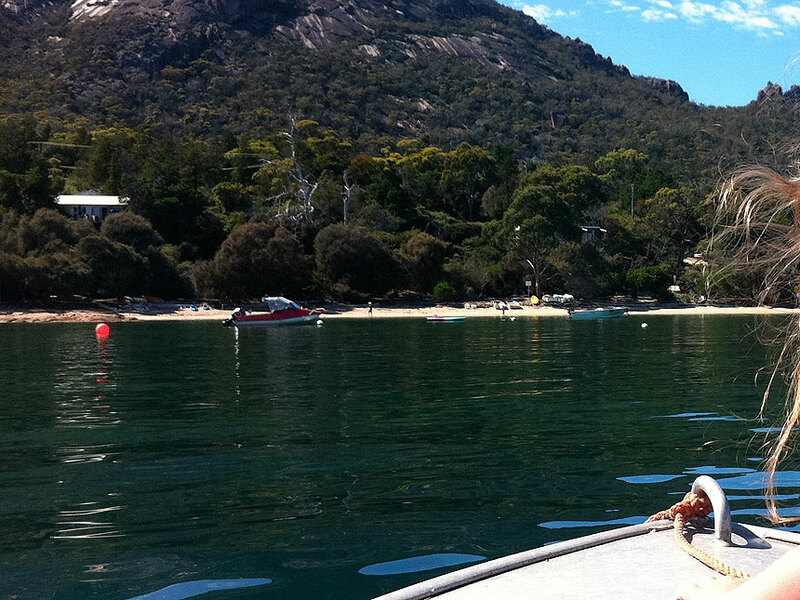 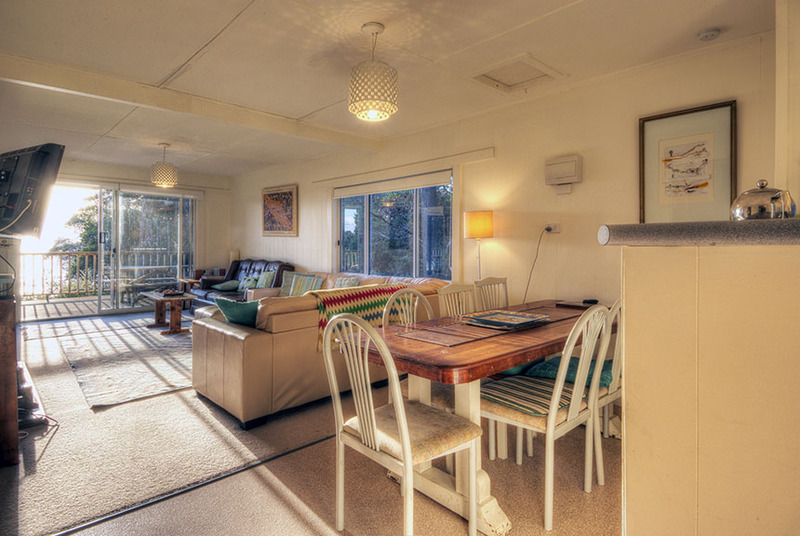 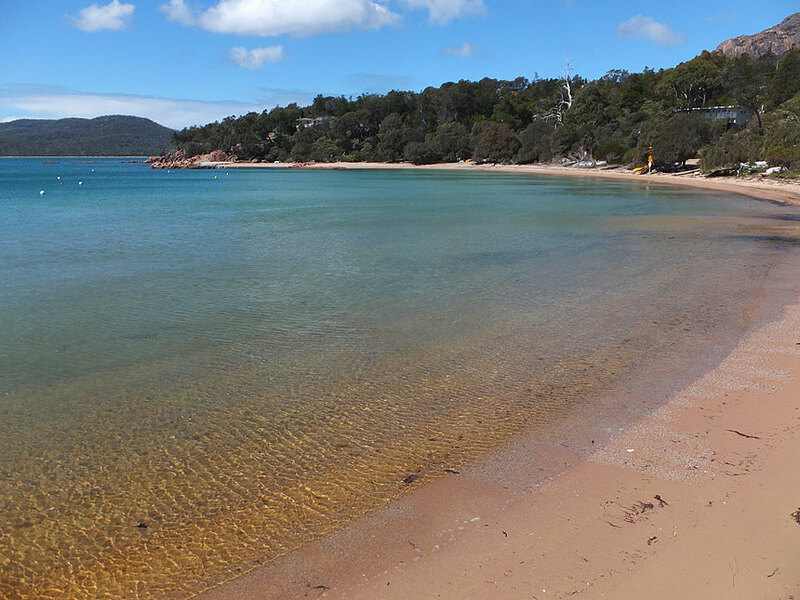 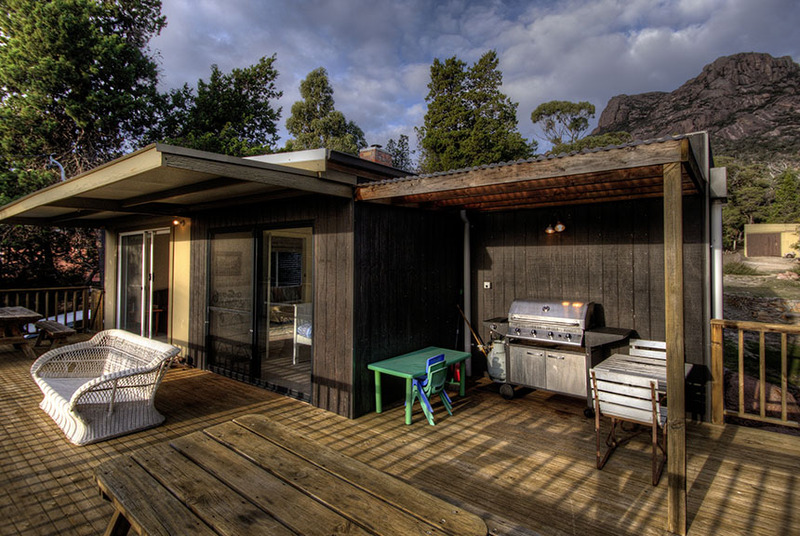 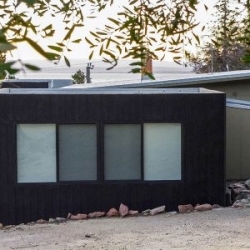 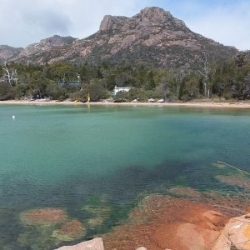 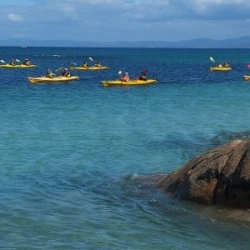 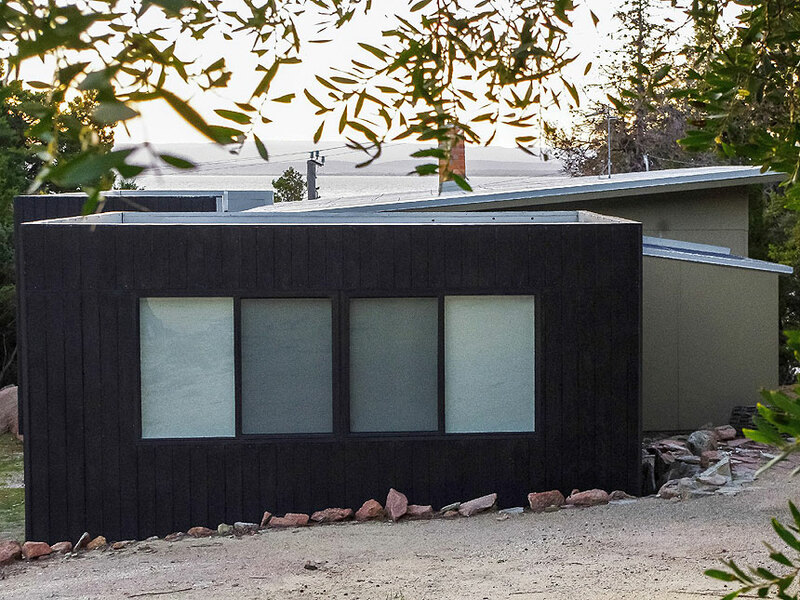 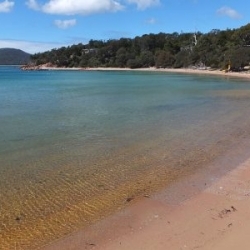 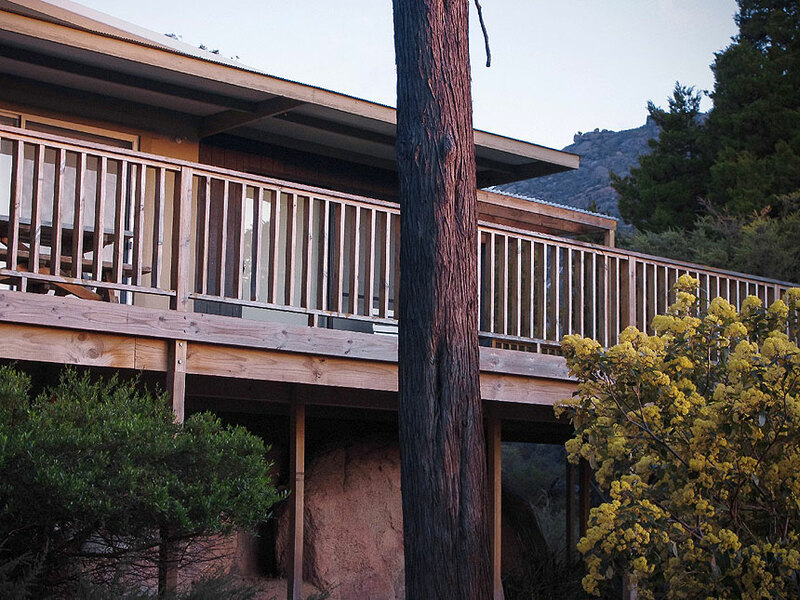 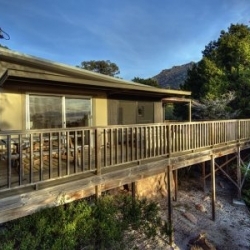 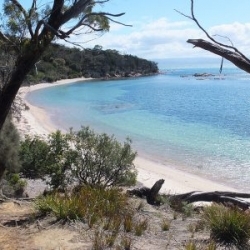 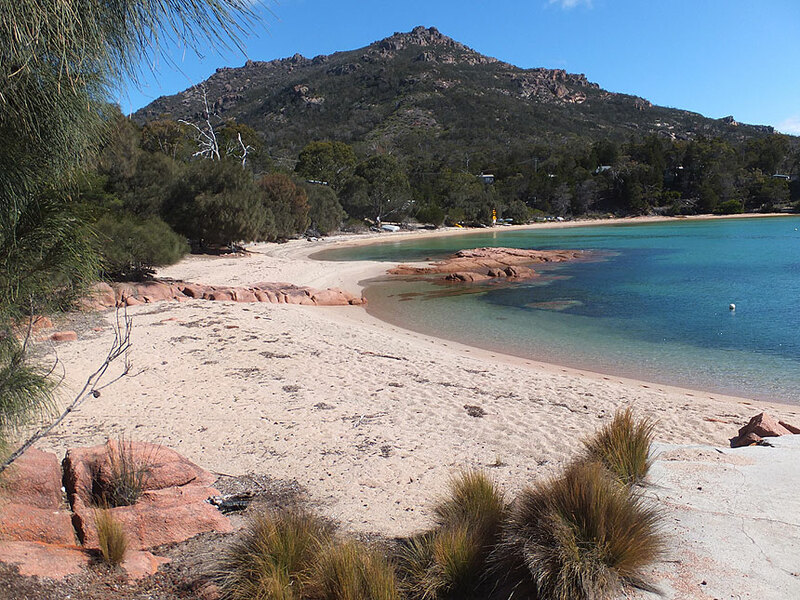 Cove Cottage is twenty metres from the picturesque Fisheries Beach and only a hundred metres or so from the beginning of the Wineglass Bay walking track and the tracks to Mt Amos and Hazards Beach. 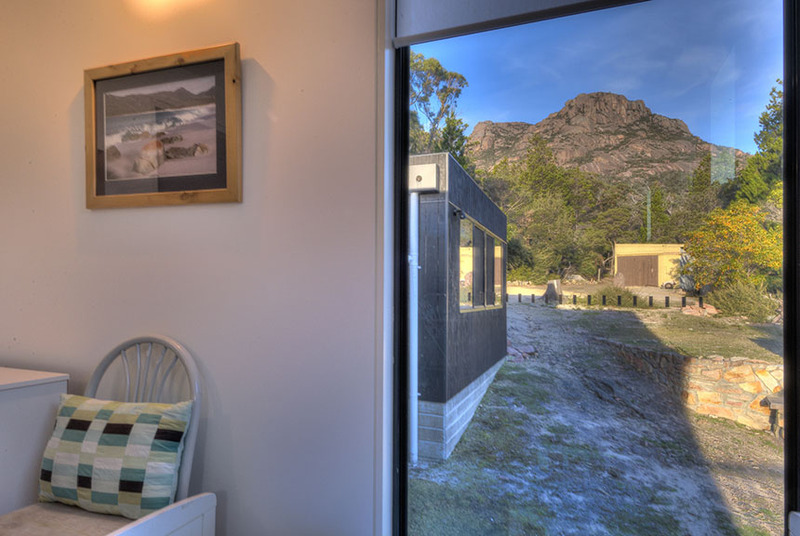 From the front of Cove Cottage are views across the bay and from the side and rear are close-range views of the Hazards. 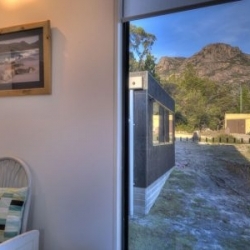 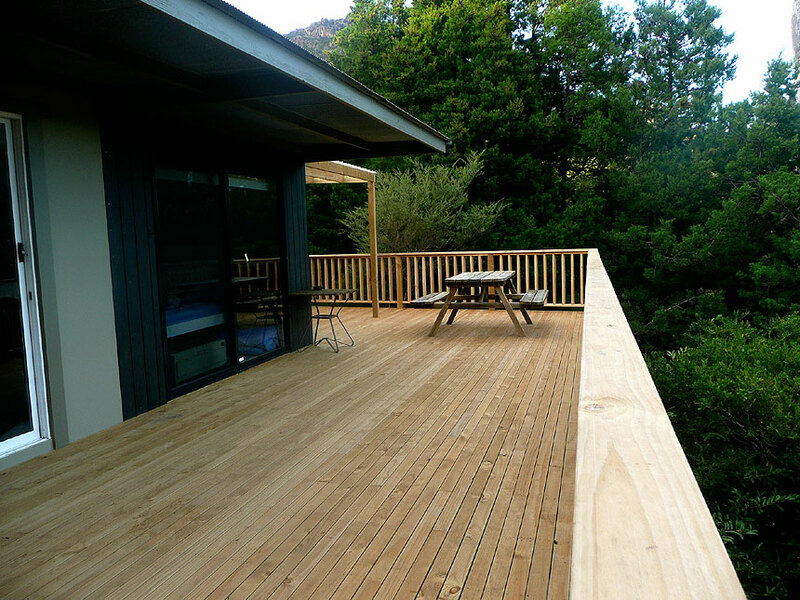 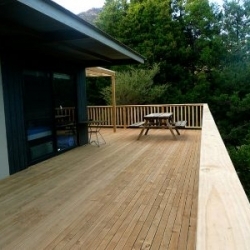 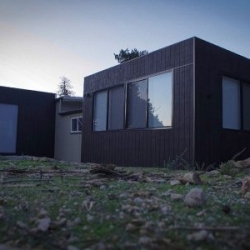 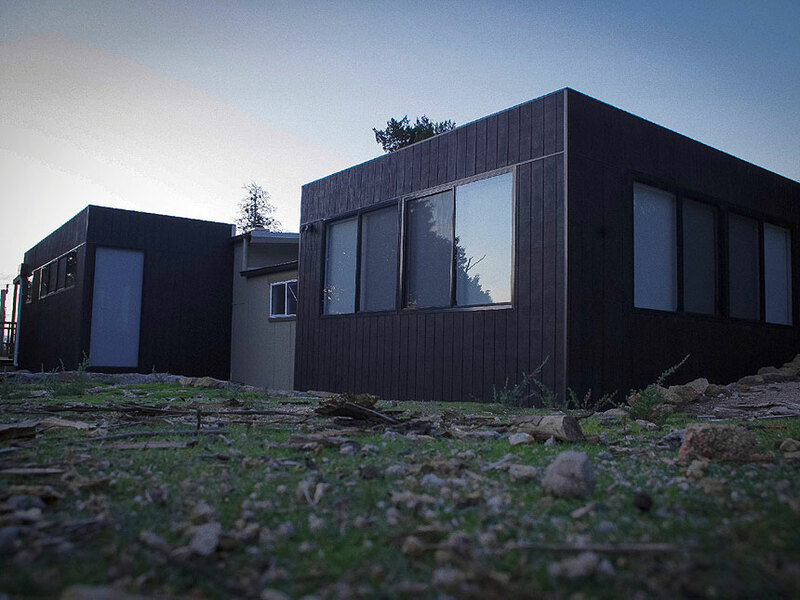 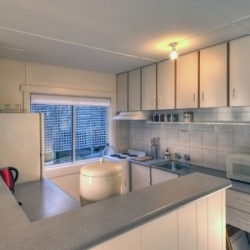 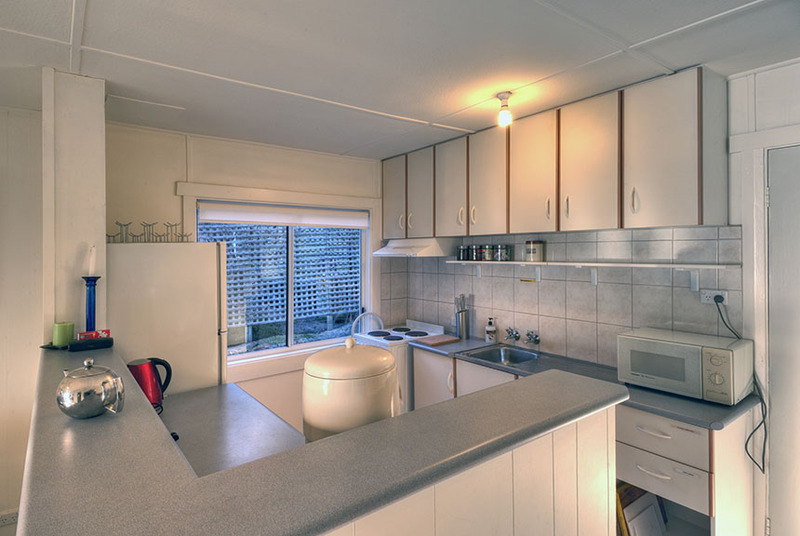 The accommodation offers privacy and comfortable, relaxed accommodation. 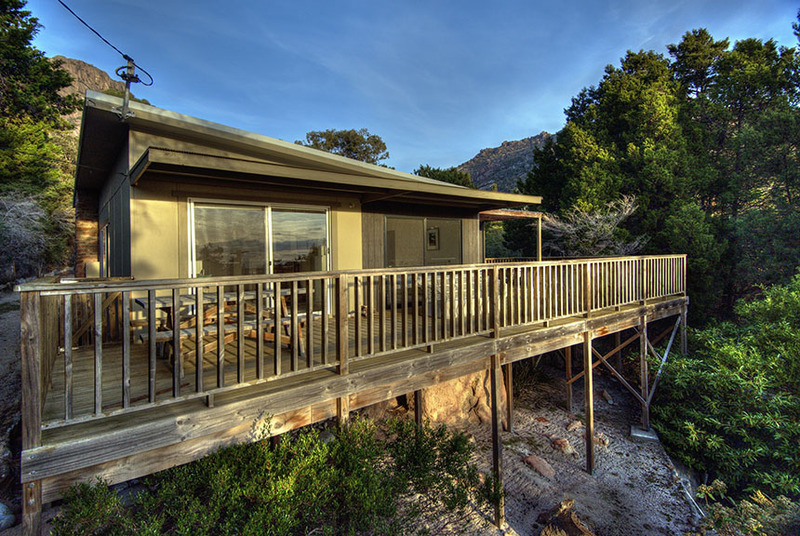 Both the master bedroom and the open-plan lounge and dining areas open to an expansive deck, a perfect place to enjoy the sun, views and sunset, a quiet read or a barbeque. 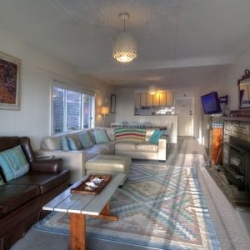 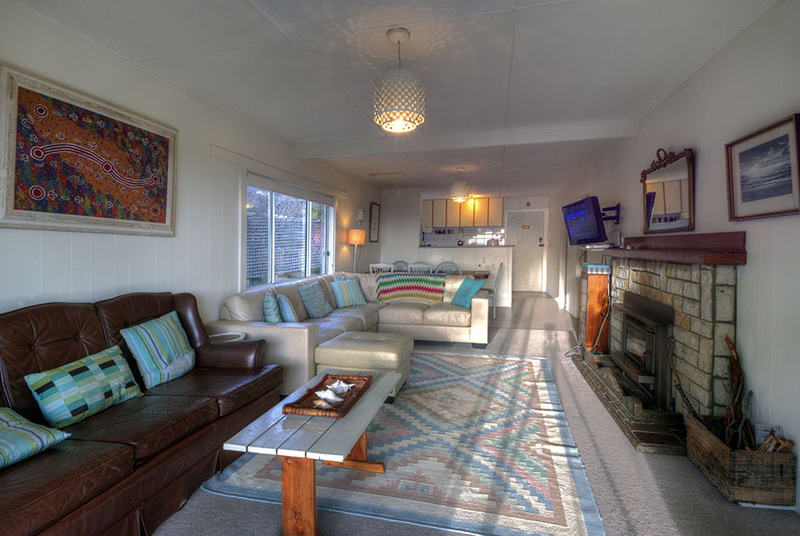 Cove Cottage is licensed to sleep 6+ people in four bedrooms. 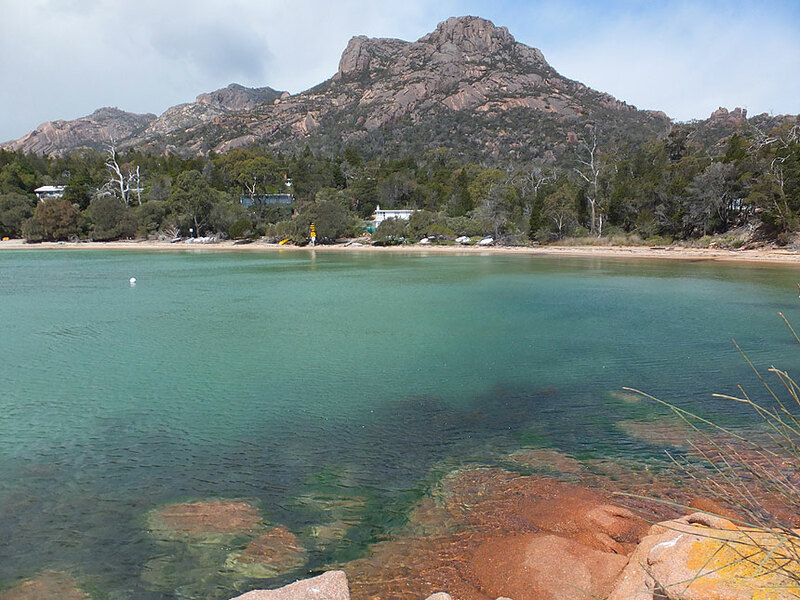 It works for a couple, tourists, a family holiday, group of friends, walkers, divers, a reunion, a rest or retreat. 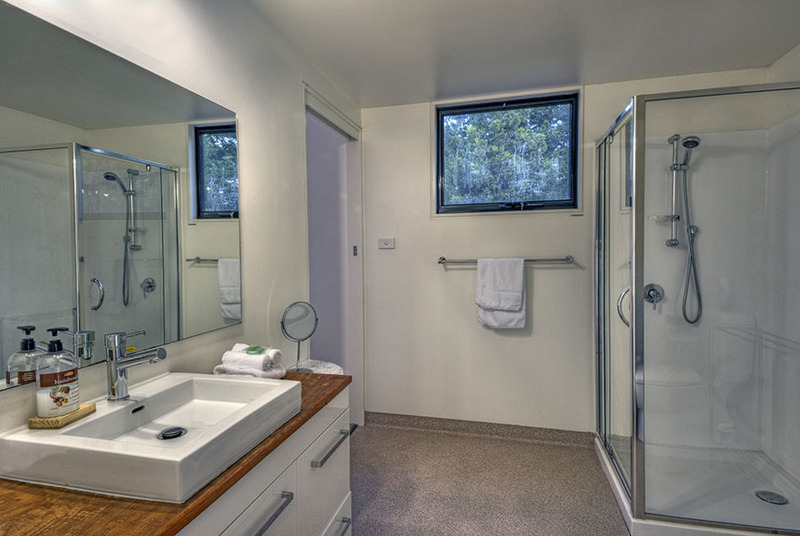 The master bedroom opens to the deck and ensuite bathroom. 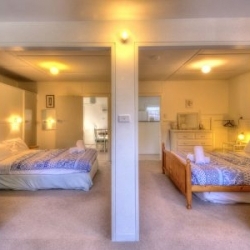 The second bedroom has a double bed and the third a queen bed. 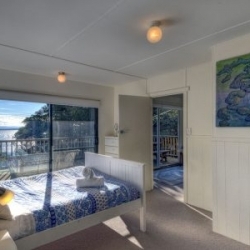 These two bedrooms share an extra sitting area, which has a framed view of Mt Amos. 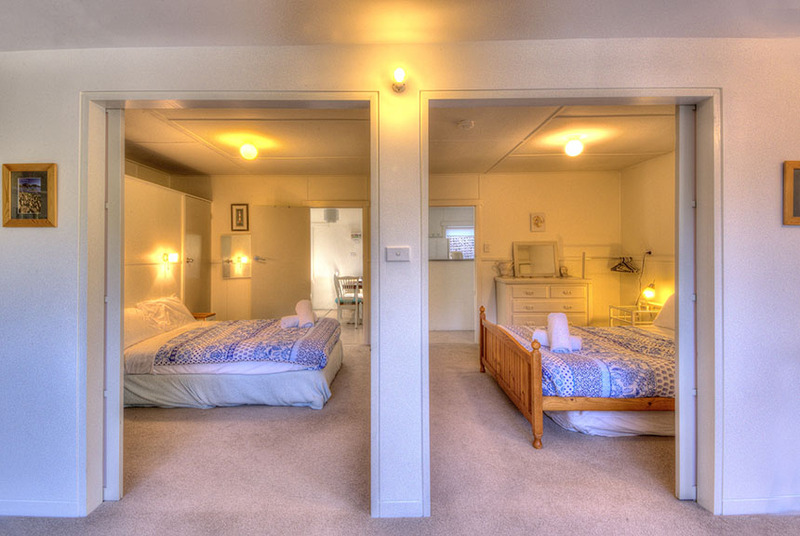 The fourth bedroom is large and bright with 5 single beds making it ideal for children. 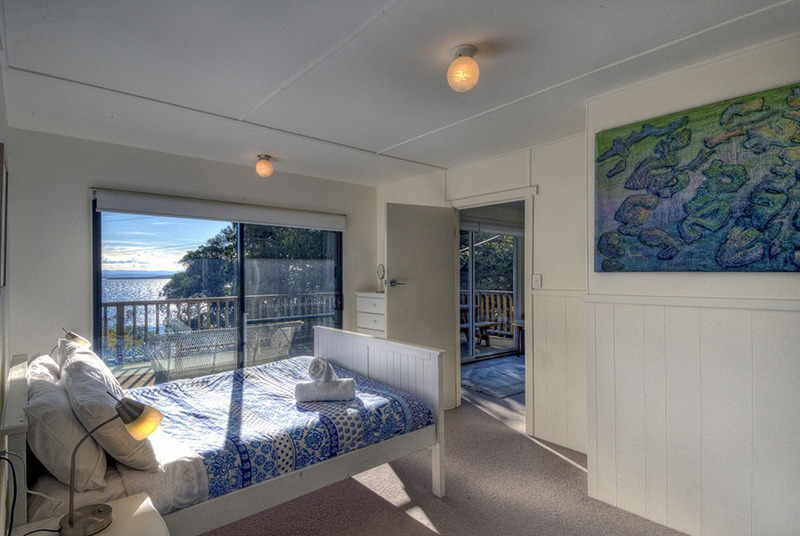 The vegetation around Cove Cottage consists of native shrubs and trees (no other plants are permitted). 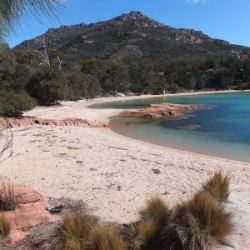 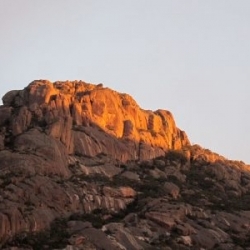 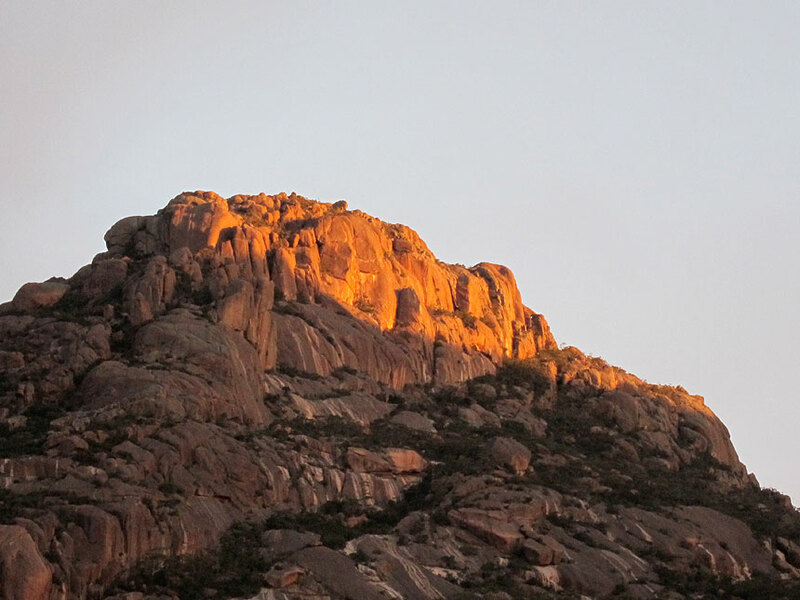 There are granite boulders and rainwater tanks and the area abounds with wallabies, kookaburras and ‘possums who would love you to feed them – but please don’t!